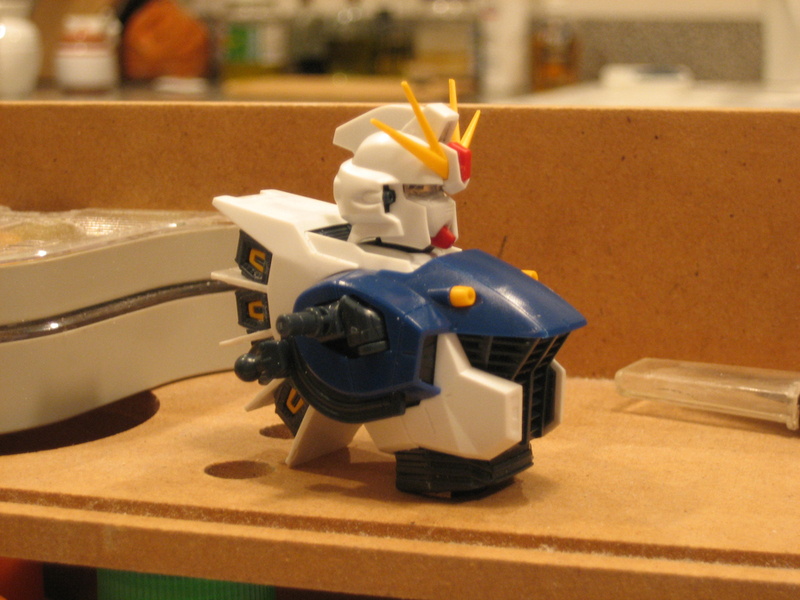 Today I started on the MG Gundam F91. This one is different; it’s 1/100 scale but the size of the model is tiny. Also the model has no polycaps do deal with. According to the story line, the F91 was the result of a plan “to develop a smaller, lightweight, high-performance mobile suit.” The parts are small and hard to work with but the assembled head and torso have a lot a good detail. Here’s a side shot. Once the model is complete I’ll put it next to a MG RX-78–2 for size comparison.